Indie games are video games created by independent developers, and in many cases, they are free to play, without any in-game purchases and other similar gimmicks that big companies like EA pull on us. However, because they were created on a limited budget, many of these games don’t have the appeal modern releases offer nowadays. But this doesn’t mean they are not interesting or well-realized! It’s just they offer a different perspective on video gaming, that may actually prove to be a bit more interesting. After all, many of the io games are indie and people absolutely dig them! Now, there is a new trend rising among indie games developers, where they create versions of retro games that used to be crazy popular. In our opinion, this is a fantastic way to catch players’ eye but it’s also a cool way to keep young people interested in cool games such as Zelda or Final Fantasy. Given this, I did a bit of digging and found the best 5 indie games every player who enjoys retro games should know about. Have a look at our list below and let us know what you think. Developed by Zeboyd Games, this game borrows heavily from the wonderful Final Fantasy IV, released in 1991. The gameplay features the main character (controlled by you), who has to fight off a plethora of bad guys. As you advance in the game, the enemies get stronger, and you have to plan ahead your game strategy. You will heal after each battle and you will get to enjoy plenty of variety in your enemies as the game features anything from dinosaurs to prophets. If you like the idea of playing a modern, yet retro take on the classic Final Fantasy series, this game can be found on Steam and Xbox Live Indie Games. 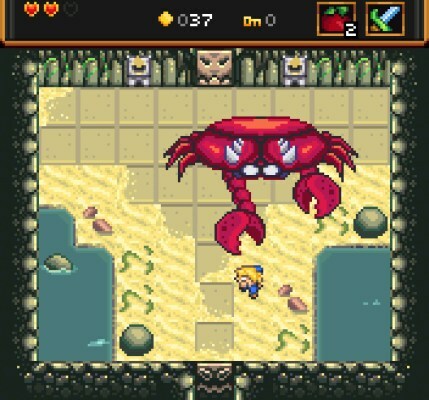 If you liked Zelda, there’s no way you won’t enjoy Shipwreck! Created by Brushfire Games, this indie game is actually considered to be a low-quality clone of Zelda. The interface is pixelated and there are no enemies to fight or maps to follow. Your main objective is to travel the land and explore while fighting monsters, and earning apples. Overall, the game is exciting and has a familiar touch for Zelda players. If you like the idea, search it on Steam. 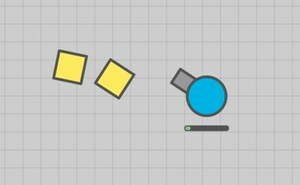 If World of Tanks was your favorite game growing up, then Diep.io will definitely be one of your favorite indie games! In this io world, you are in control of a tank and your main objective is to shoot down your enemies and put down any obstacles that may come your way. As you go up the latter of levels, you have the possibility to upgrade your tank and become more difficult to beat. The final goal is to stay alive for as long as possible – the ultimate survival test! Does Mortal Kombat sound familiar to you? If yes, this indie game will be right up your alley! With a dark theme and creepy characters, the action is mostly focused on fighting off your enemies. However, the reason why we chose The Black Heart over the plethora of fighting games out there is the uniqueness of the characters. Each is equipped with special moves that will make you forget about standard fatalities. The action is focused on a destroying your enemies without looking for that final piece of gratification (as you tend to see in Mortal Kombat). Get it for free here. Given we’re talking about indie games with a dark side we thought to finish our list on a similar note. Dead Pixels is nothing more or less but a zombie game, where the dead rise from their graves because of a toxic waste spill. 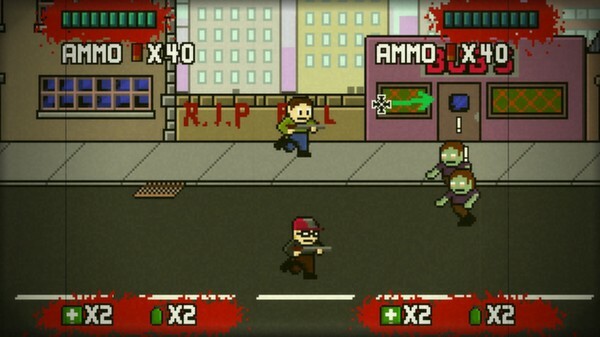 Now, while the reason for becoming a zombie may not be as well-chosen, the game will have you running through the hordes in a desperate attempt to rescue yourself and other survivors. You have the chance to trade weapons and goods with other people and, overall, the action is quite enticing. If this is your genre, the game is available on several platforms such as Steam or Xbox Live, but it’s not free. However, it has been given away for free multiple times. As you can see, there are many interesting games in the indie bag; you just have to know where to look! Guest post by Katheryn Key. Is Xbox Game Pass Worth Your Money? The Black Heart << Best game for eaver .